Welcome. I am so happy that you stopped by. May garden gate is always open for you to come in and sit and relax with a cup of tea while I share with you the inspirations for my art. My Pansy flowers were late bloomers this year - perhaps because I was a little too enthusiastic about over feeding them with cottonseed meal. Let's join Bentley, my Studio Assistant, in the garden to show you our Pansies that are now blooming. My sister and I used to love going to the feed store/nursery with our Mother in North Carolina to look at the baby chicks and Spring Pansy plants - we called then "Smiling Faces" because we thought the flowers looked like they were smiling. Did you know that the name Pansy comes from the French word pensee, meaning "remembrance" or "thought" thus when a bouquet of pansies is given to you, it means, "I'm thinking of you." This was the inspirational thought behind a little bouquet of pansies I painted for my friend who's shop burned down. I wanted to paint Pansies that had a Vintage look for my friend Cathy who has a darling shop, The Vintage Lady, newly located at Country Roads Antiques in Orange, CA, so I painted them in in an old vintage Ball jar. Thank you for stopping by. I love hearing from you and read and cherish each and every comment and e-mail and appreciate those of you who follow my blog. Please let me know if you have any questions or would like to see me paint something special. I am working on a new painting for my blog banner as after three years I feel it is about time for me to give my blog a new look - nothing drastic - just something new for you to look at and hopefully enjoy. Welcome. I am so happy that you stopped by. My garden gate is always open for you to come in and sit and relax with a cup of tea while I share with you the inspirations for my art. 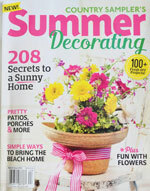 Yeah - Spring has arrived ! Are you as excited as I am that we have a new season? The time of year when the weather warms and Mother Nature's bounty starts peeking out with the first buds and flowers of the season is certainly one of my favorites. 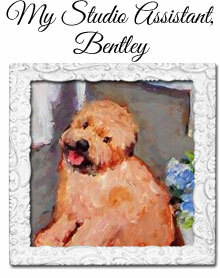 Let's join Bentley, my Studio Assistant, to look for inspiration for my first Spring painting. Since so many purple and pink flowers are blooming I decided to paint a garden with a trellis in the background. I added yellow Sunflowers for a little extra color. Thank you for stopping by. I love hearing from you and read and appreciate each comment and sincerely appreciate your visits, e-mails, comments and those of you who follow my blog. Please let me know if you have any questions or would like to see me paint something special. Welcome. I am so happy that you stopped by. My garden gate is always open for you to come in and sit and relax with a cup of tea. Today I have something special to share with you regarding one of my paintings and how it is being used to help raise money for UK families living with cancer. Bentley, my Studio Assistant , is waiting at our garden gate to welcome you. 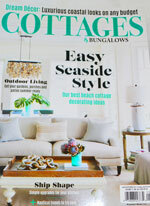 Recently I received an e-mail from Cathy Jenkins of Sail4Cancer, a UK charity that raises money through sailing and related activities which they spend on offering respite breaks to UK families living with cancer. They have a long waiting list of families desperate for some quality time together, escaping hospital and treatment schedules for a while.
. Cathy advised each year they try to have an" iconic image" to illustrate the packet and website. She came across one of my paintings with a tea set on my blog and felt it would be perfect to use on their 2012 packet and posters for the clubs and asked my permission to use it. I was honored and deeply touched ,especially since I am a cancer survivor, to give permission to us one of my paintings as one of my goals is to use my art to help raise money for cancer related causes. 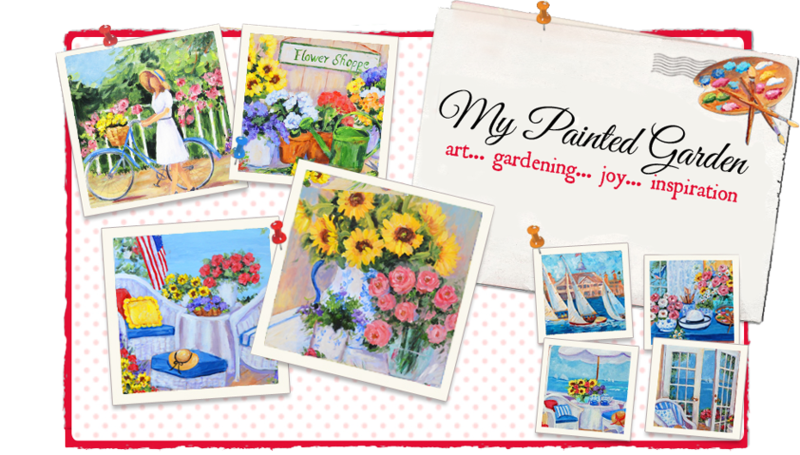 I suggested that Cathy view some of the paintings on my website http://www.thepaintedgarden.net/ and gave her permission to use the painting of her choice. Which painting do you think Cathy picked for the 2012 packet and poster? By the way the painting with the yellow umbrella is titled "Tea By The Sea". I was so impressed with Sail4Cancer and their "Tea By The Sea" program that I want to have a little tea party this summer with my friends and family to help raise money for the families. 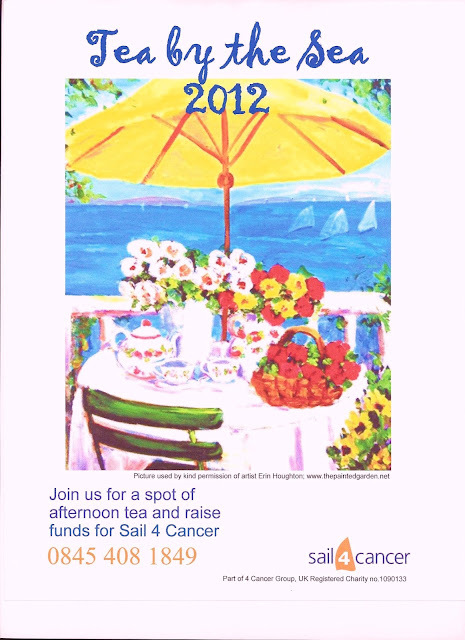 You can read about their program by going to their website http://www.sail4cancer.org/ and clicking on Tea By The Sea. Welcome. I am so happy that you stopped by. 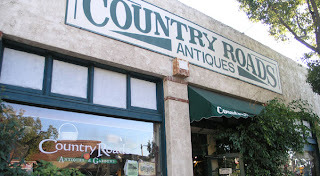 Today I am serving tea on my vintage tea set to celebrate opening of my friend Cathy Jarrell's new shop, The Vintage Lady, at Country Roads Antiques in Old Town Orange. 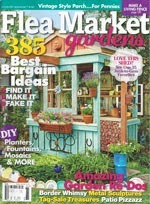 You may remember visiting her charming Home and Garden shop with me in Old Town Tustin. Sadly her shop that was located in a 100 year old house that burned to the ground two weeks before Christmas. 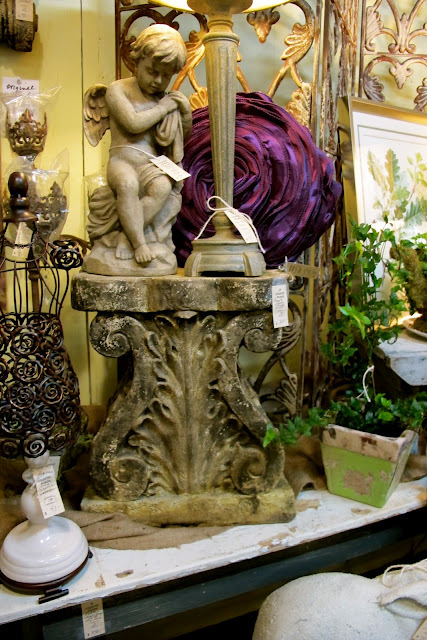 Everything inside her shop was lost - happily some of the items in the garden were saved. 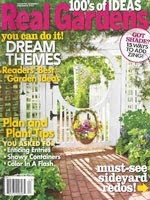 Cathy never complained about her loss - her faith sustained her and kept her strong and she viewed her loss as a blessing and opportunity to downsize giving her more time to create a smaller home and garden shop and have more time to pursue her love for writing, gardening and creating using gifts that God blessed her with. The day of the fire the owner of Country Roads in Orange, CA. 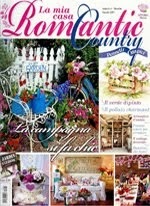 contacted Cathy inviting her to relocate The Vintage Lady to Country Roads. Country Roads has 12,000 square feet of the most fabulous and beautiful antiques and collectibles (and is so special it was visited by Nate of the Nate Berkus Show), and a fabulous garden in back of the building featuring all kinds of vintage plants, trees, flowers and vintage garden furniture and flea market finds. A little space was created in the 5,000 square foot garden for Cathy to relocate her container gardens and topiary plants that were salvaged from the fire. 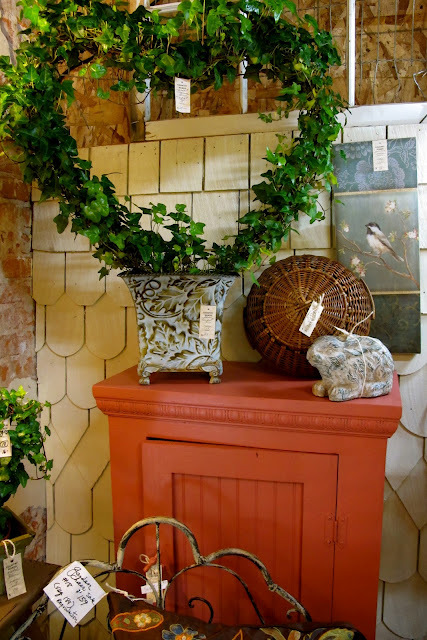 Let's take a little tour of the new and fabulous Vintage Lady's container garden and new shop inside Country Roads Antiques in Orange, California. How charming can you get?? A frog and puppy topairy!!! Cathy is famous for her adorable toparies and garden signs. 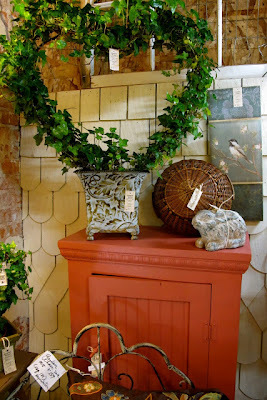 The old brick wall and high ceilings are a perfect backdrop for Cathy's shop. 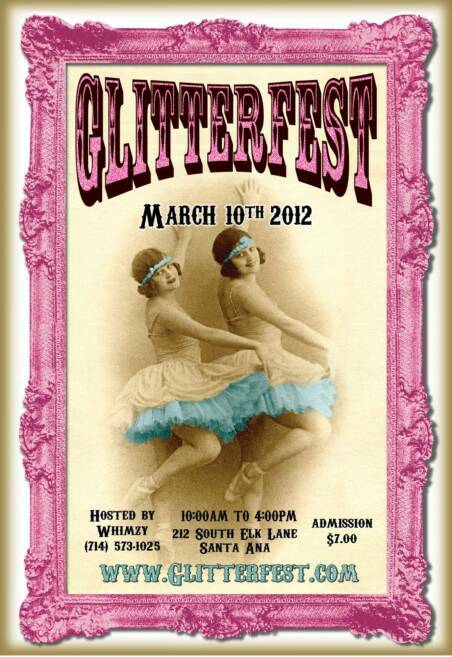 Cathy will be at Glitterfest in Santa Ana, California on March 10th. 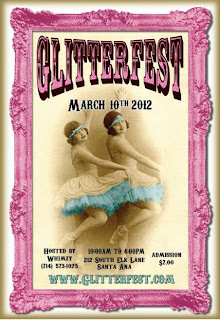 http://www.thevintagelady.com/ where you can follow her on facebook and pinterest. Thank you for visitng. I love hearing from you and sincerely appreciate your visits, comments, e-mails and those who follow my blog. Please let me know if you have any questions or would like to see me paint something special. Next week we will be back in my garden paintings Spring flowers.